China’s participation in UN peacekeeping has changed significantly over the past four decades. China did not participate in UN Security Council (UNSC) votes on peacekeeping operations until 1981 and did not contribute personnel to peacekeeping operations until 1992. China’s personnel contributions to UN peacekeeping saw a dramatic change in 2002 and continued to rise steadily until March 2004, when it became the largest troop contributing country of the permanent members of the UNSC. In return, peacekeeping missions have provided China with a means to increase its international soft power and gain operational experience for the People’s Liberation Army. At the same time, China’s participation has caused its values to coincide more closely with those embodied by UN peacekeeping operations. This shift is reflected in China’s willingness to take part in peacekeeping operations with goals that include building and strengthening liberal institutions in host countries. The norms and values transmitted by participation in UN peacekeeping rely on those held by the UN’s member countries. To this end, the United States must maintain its commitment to UN peacekeeping in order to preserve the strategic value afforded to the United States through its leadership role in the UN. UN contributions are calculated using a formula that factors in the gross national income and population of a country. Based on this formula, the United States is the largest financial contributor to UN peacekeeping, paying for 28.47% of the 2017 peacekeeping budget. However, in December 2017, the United States negotiated a $285 million reduction in its financial contributions, and the proposed 2018 US budget included an additional reduction of $405 million for UN peacekeeping. This dramatic decrease in funding will severely impact the 15 ongoing peacekeeping operations, as well as the ability of the UN Department of Peacekeeping to serve as a socializing institution that has had a salutary effect on the norms of the participating countries such as China. 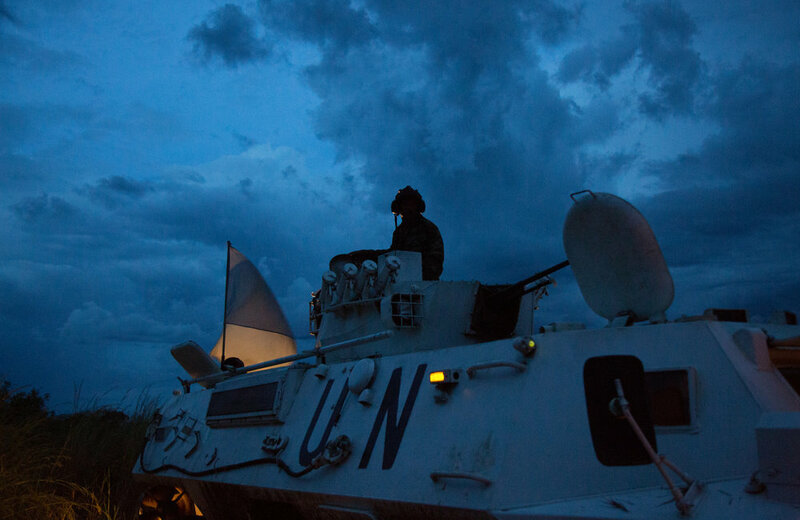 Rather than pull back from involvement in the UN, the United States should maintain its funding and leadership role in UN peacekeeping operations to ensure that it can continue to guide the permeation of norms through UN peacekeeping. China’s acceptance of these norms can be traced through its changing relationship to UN peacekeeping. Once marked by staunch hostility, China’s role has grown to one of active leadership. As a victim of Western imperialism, China refused to participate in UNSC votes regarding peacekeeping operations until 1971 because it viewed peacekeeping as an infringement on the host nation’s sovereignty. China’s relationship with UN peacekeeping saw a marked change in 1981, when China voted in favor of UNSC Resolution 495 to extend the UN Peacekeeping Force in Cyprus. Over the next few years, China sent personnel to Namibia, Kuwait, Liberia and Mozambique. In 1992, China contributed 47 military observers and 400 engineering troops to the UN Transitional Authority in Cambodia. This operation was comprehensive and gave the UN temporary control over state institutions in Cambodia, including its elections. China’s participation in this operation, despite its departure from China’s principles regarding state sovereignty, offers a clear example of China’s acclimation to the changing role of UN peacekeeping, which had expanded to include the promotion of liberal institutions in host states. Next, in 2015 Xi Jinping demonstrated China’s commitment to UN peacekeeping when he pledged that China would participate in the Peacekeeping Capability Readiness System by developing a standing force of 8,000 peacekeepers. The stark increase in China’s involvement in UN peacekeeping is due in part to the geopolitical, operational, and economic incentives offered by its participation. However, participation in UN peacekeeping has also served to shape China’s behavior, motivating it to continue to expand its role in peacekeeping operations despite increasingly broad mandates. China’s acceptance of post-Westphalian international values regarding national sovereignty demonstrates the power that participation in UN peacekeeping possesses. This opportunity should be used by the United States to expand upon shared international values and cooperation with countries that it has historically had contentious relationships with. This outcome can be accomplished by encouraging the centrality of the UN as an international governing body and cementing the leadership role of the United States in the UN through its continued financial and political support of UN peacekeeping. Marika Miner is an M.A. candidate in Asian Studies at George Washington University’s Elliott School of International Affairs. She has interned at the State Department and the U.S.-China Business Council. Her research interests include East and Central Asia.